Ever heard of The Dalmatian Coast in Croatia? I'll let you in on a little secret — this spot is the best hidden gem in all of Europe. Our ILP Europe volunteers love the chance to explore hidden gems in Europe. Click here to talk to a rep in the office who can tell you about each ILP Europe country. With postcard worthy views, medieval cities, hidden beaches and more you need to add Croatia to your travel destination list. Where Is Croatia's Dalmatian Coast? Right across from Italy's eastern shores is the Croatia's coastline. Both shores hug the Adriatic sea, meaning miles and miles of glittering beaches. But here's the catch ... most people flock to vacation in Italy, when you could get the same views and sun without all the crowds and the inflated prices in a place called Croatia. Dalmatia is the strip of coast and islands on the west of the country, from Dubrovnik in the south and Zatar in the north. The coast also includes some very gorgeous national parks more inland (hugging the border of Bosnia and Herzegovina) and a coastline that shatters into thousands of islands, a few of which are dotted with medieval towns and red-tiled roofs. See why we love it here? There are a few airports you an fly into (head's up — US citizens do not need a visa to enter). If you're going to the Dalmatian coast, we suggest flying in Zatar (in the northern region of Dalmatia) or the southern tip, which is Dubrobnik. You can pretty much get to either airport at any other major European city, which makes flying a good option. Train and bus are also options and routes are easily searched online. We've hyped up the coastline, which means we really have to sell you on the miles and miles of blue water and white sand. It won't be hard because Croatia's beaches are stunners. It's an undiscovered paradise. It's a large area to highlight when it comes to picking all of the best, so we suggest doing a little research about where you want to spend most of your time (whether that's more in the north, the south or the central area) and then picking the best beaches in that region. 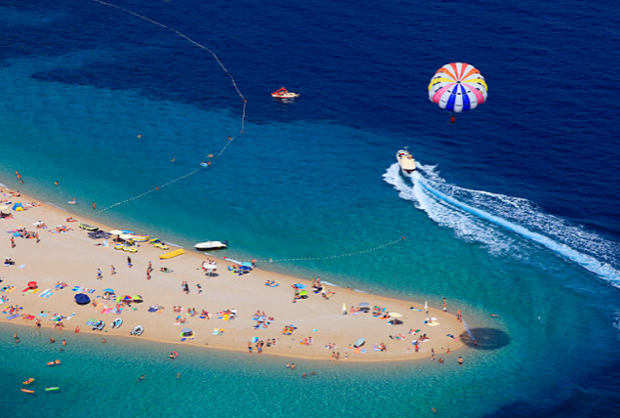 That being said, Zlatni Rat beach is probably the most famous (and well-deserved). The clear blue water will blow your mind. This beach is a must visit and one of the things you will see on postcards everywhere in Croatia. Going in the morning before other people are there can bring a really unique and quite experience where you have the beach and water to yourself. It's actually found on Brac Island, which has regular ferry connections from mainland city of Split. You can rent things and do a lot of different water sports here but we definitely recommend snorkeling and kayaking. Plitvice National Park is known for its stunning waterfalls and a place where most tourists make a stop at. The views are unbeatable but this national park has insanely unpredictable weather and is often pouring rain. So take a chance and if it doesn't work out have a backup plan. The lakes are the highlight of this national park: you can easily take a day trip to the lakes from Zagreb or Split/Zatar. Book tickets here. This blogger has a complete guide on visit Piltvice National Park and the lakes there which will come in handy for your visit. 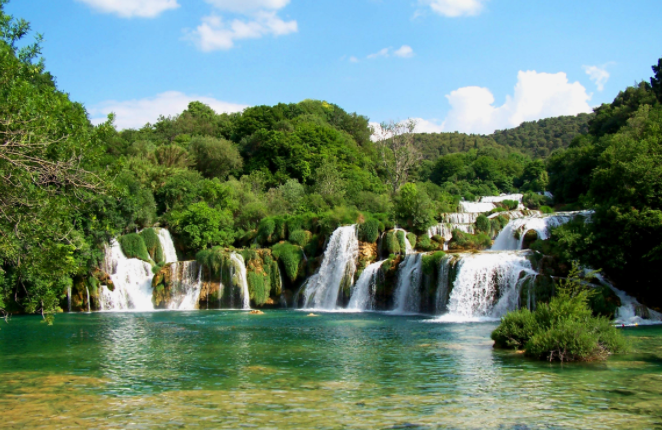 Krka National Park is one of the major national parks you can visit. Here you can find a lot of different hikes and gorgeous waterfalls. The cool thing about these falls is that you can swim in the water near the falls. It is pretty cold so be prepared with a few layers to help you stay warm after a cold dip. This place is mad pretty, so if you have time, fit it into your itinerary! It's easy to reach this park via bus from cities like Zagreb, Split and Zadar. Book tickets here (you'll probably need to get a bus to Skradin, then take a bus from Skradin to park itself. You need to visit a city on the coast (like Zadar or Split) and send time looking around. You'll find cobblestone roads and windy back streets and the buildings that take you back in time. You really will fall in love with this unique country and its amazing architecture. Spend time checking out the cute shops, eating at the restaurants, visitng museums and exploring. 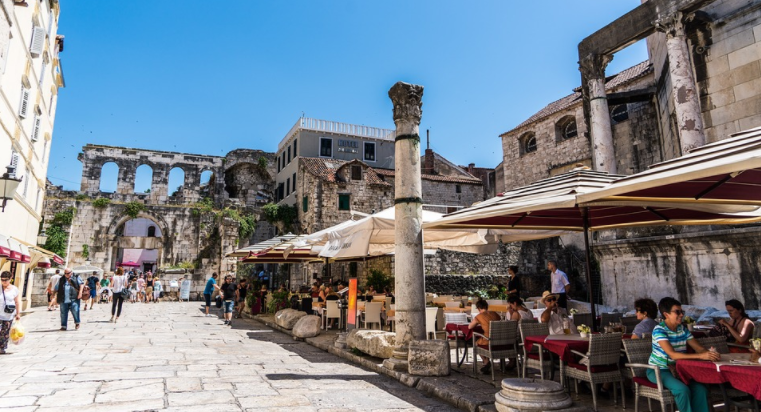 You'll stumble upon some pretty neat things — for example in the city of Zadar there are two things you need to look for. The first is the Sea Organ. Built in 2005 this 70 meter long instrument was built and it is quite amazing. The Organ is made by large marble steps that lead into the Adriatic Sea. There are small openings in the stairs and when the waves and wind come through it makes sounds and music. Near the organ is a really unique piece called the Sun Salutation. Installed into the ground is a big circle combining solar panels and LED lights to make a beautiful "sunset" at night. You can walk on it and it illuminates everything around it. You've gotta check it out! 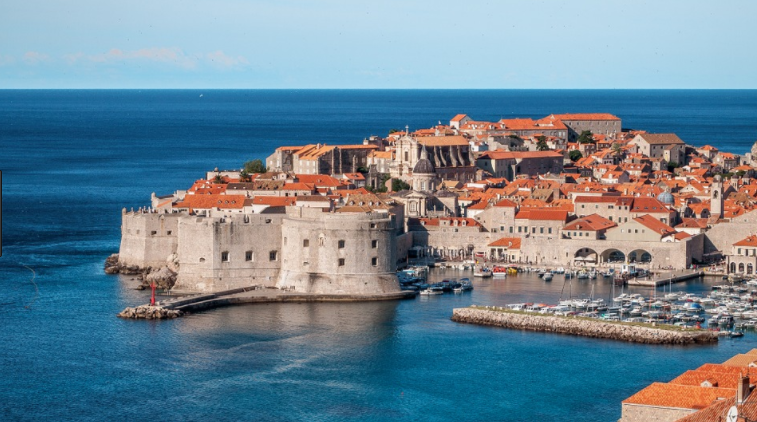 We know you're dying to see the place for yourself ... which is great news, because our ILP volunteers in Europe get plenty of vacation time to hop over and see places like Croatia. Click the button below to have some of your common questions answered and learn more about ILP!